Earlier this month, Amazon and Apple announced a new partnership that would see the latter sell its flagship products in the online store for the first time. Although Apple has previously sold older models via Amazon UK, it has never offered its top-of-the-line products, choosing to keep those reserved for its own online store. But that's all changed, with Apple selling its flagship iPhone XS, iPhone XS Max and iPhone XR handsets SIM-free on Amazon UK, complete with all the usual benefits of buying from the online retailer, including free one-day delivery for Prime members. But easily the biggest benefit of buying from Amazon UK is that Apple appears to have whole-heartedly embraced the retailer's love of Cyber Monday. This really isn't something we ever expected to see, especially given that Apple has not even discounted its older generation smartphones as part of the Cyber Monday promotion available in its own online store. Instead of price reductions, the company is offering a free £40 ($50) gift card with the purchase of any iPhone 7, 7 Plus, iPhone 8 or 8 Plus until midnight tonight, November 26, 2018. 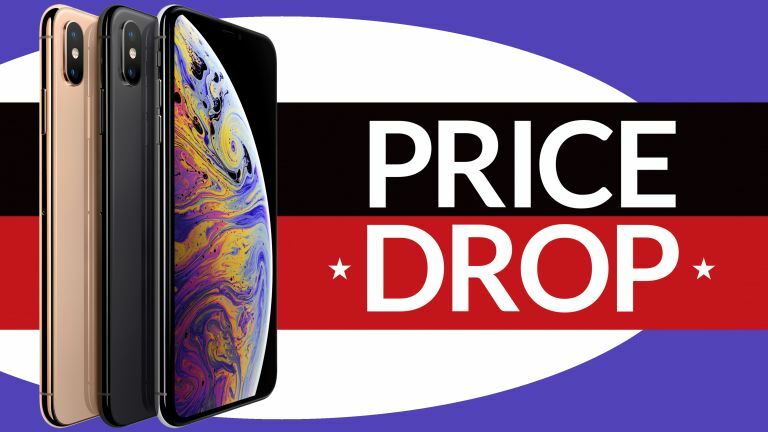 However, head over to Amazon UK and you'll find that Apple has slashed £100 off the price of its flagship iPhone XS Max. Given this new SIM-free handset only launched back in September, that's a serious discount – and very un-Apple like. Usually priced at £1,099 – the 6.5-inch handset is currently available in the Cyber Monday sales for £999. That's the same price as the smaller 5.8-inch iPhone XS in Apple's own online store. Bafflingly, the bumper £100 discount is only available on the Space Grey model with 64GB of inbuilt storage, with every other variant of the handset limited to a £50 price drop. iPhone XS has also been discounted by £50 compared to its usual SIM-free price from an Apple Store. This price drop is available across all storage configurations of the handset, including 64GB, 256GB and 512GB models. The iPhone XR has also seen some minor discounts, with the White colour now available for £719 – a £30 saving on the usual price tag. If you're looking to snag another Apple product at a discounted price today, why not check out T3's definitive list of iPad, Apple Watch, iPhone and Mac deals for Cyber Monday?